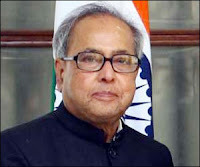 The Finance Minister, Mr. Pranab Mukherjee said on Tuesday that the government is planning to increase the number of benches in BIFR. BIFR is the quasi-judicial body that looks at revival of financially sick companies. One of the reasons why revival or winding up cases get dragged for years is that currently, Board of Industrial and Financial Reconstruction (BIFR) consists of three benches. During the Question Hour in the Rajya Sabha Mr. Mukherjee said that performance review and expanding the number of benches (in BIFR) is under consideration of the government.